This statistic depicts the top 10 U.S. states based on Medicare beneficiaries as a percentage of total population in calendar year 2016. 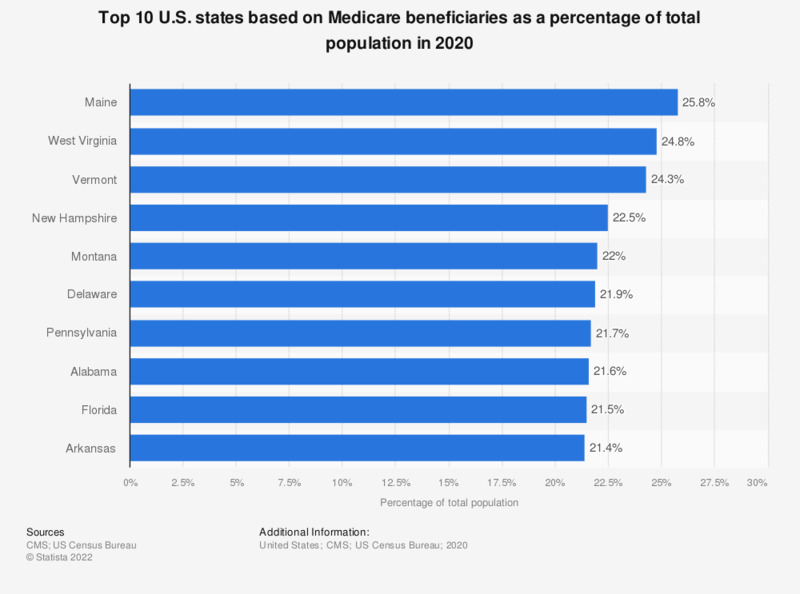 With 23.6 percent, West Virginia and Maine had the highest percentage of Medicare beneficiaries among its total populations. Data include aged and/or disabled individuals enrolled in Medicare Part A and/or B through Original Medicare or Medicare Advantage and Other Health Plans during the calendar year specified. Medicare enrollment is based on CMS administrative enrollment data and are calculated using a person-year methodology.